Nifty and Bank Nifty February future contract turned to sell mode on 24th Feb 2014. Currently the resistance zone coming close to 6149 and 10420 respectively reverse your position to positional buy if the resistance breaks on the upper side. 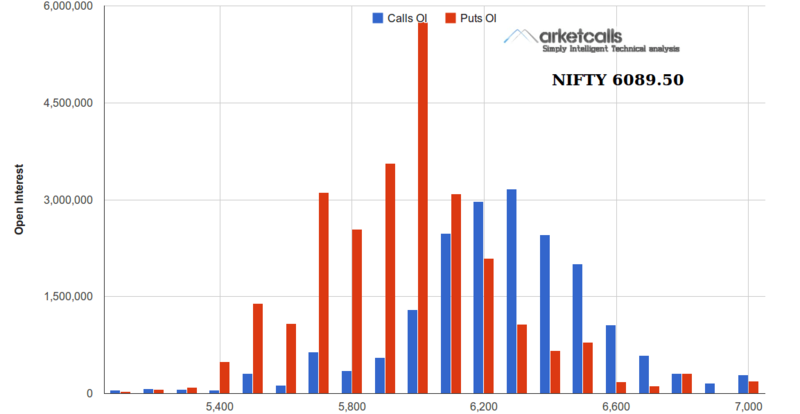 For the current February option series the option writers started with building higher open interest in 6000PE strike prices and option writers have a short term bias towards the positive trend in nifty and strongly considering 6000 as the temporary support zone for current options series.